Sometimes the best business names come from within. I know what you’re thinking, “sometimes the best business names come from within,” It sounds a bit Star Wars and something Yoda would say but it is very true. You should really be looking into your business plan or even your mission statement for ideas for your best business name ever and creating a list. Let’s look at some examples: what is your business concept? Say your company is going to be delivering tech support, but you are going to have a live person answer the phone every time and your edge is to lead the field with customer service. “Live Support” comes to mind as a great name. Another question would be to describe your company in terms of a person or if you company were a friend, what would they be like? Would your company be a reliable friend, trustworthy, stylish, fun to be around or serious? Would they be creative? Would they be innovative or daring? Describe your company in terms of human attributes and look to those words. Maybe look at the attributes of your product or services. Is your service fast or is it always delivered by the third day or does your product have the most features or is it the only one in the industry to have the features it does. Also think about the possibility about the location of your business, and this generally goes for businesses that are going to local, are there any geological features around your business? Are you a real estate company that deals with ocean front property? Do you work in the South West or perhaps the North East? Just be careful that if you are looking to expand out of said geological area that you are not stuck. Thinking about the attributes of your company are there any features that remind you of animals or geographic features? Is your business quick like a fox as sturdy as a rock, precious or rare as a diamond? Has your company been around as long as a saguaro or a redwood tree? Dig into the features and attributes of your company or look within your company for ideas for the best business name but if you are not sure or need some inspiration, don’t worry, we’re here to help. Check out some of new best business names ever section on our first page. We thought these business names would work really well for some really great businesses and across multiple industries. And let that be our last word about looking inward for the best business name ever, don’t let your name be constricting. Your business name should be able to flow with you as your business contracts or expands, see some great examples on our main page. For more help creating the best business names ever please check out all our blogs about the creation of business names including: Be Creative for a Creative Business Name, Make Sure The Domain Name is Available and What to Look for in the Best Business Name Ever, but don’t worry there are still more blogs to come on the subject! Ha, that is kind of Yoda like but Yoda was a wise creature! The best names do come from within and what a great idea to create a list, this list will help with so many things like your business plan. 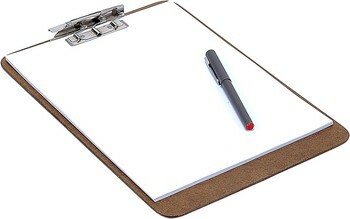 Wow, we couldn’t have said that better, this list will totally help you with your business plan. You could also look at your business plan as inspiration for naming your business. Your business plan should spell out for you what you do better then your competitors, your suppliers, your target audience and just about everything on the list we mentioned to help develop your business name. Thanks for your comment and don’t forget to be creative to name your business, just because your business name comes from within does not mean it has to be boring. That’s a great idea, creating a list of attributes of your company and use that to create the perfect business name. I’m going to say that some of the names on your home page you call the “ best business names ever” are really good but I’m not sure if they are the best for me. Do you have other business names? Thanks for your comment and the Best Name Ever just added several more names that we thing would work wonderfully for many different types of businesses, products and even services. You didn’t specify what exactly your business does so we’re not really sure if they would work for you. We hope that you check out these innovative names for an innovative business and please let us know what you think. We love getting comments from people and think that there is no such thing as a bad comment as long as it’s constructive and we can learn from it. This is a two step recomendation, develop a business plan and look at it to find your name. Naming you company is important but coming up with your blueprint to success, aka business plan, is even more so. Anyway you look at it, a bank won’t give you alone without both! So true. Unless you are going to a rich Uncle, you’re never going to get a business loan without a name or a business plan; you need both. Now this site is dedicated to coming up with the best business name for your new venture and not for developing your business plan but, we do agree with you 100% on the importance of a business plan. Thanks for your thoughts and if you have any tips for business plans, let us know maybe we’ll do a blog on it. Great ideas! Thanks for the blog. Thanks for your comment. We truly believe that some of the best business names and the ones that come from your core values and attributes of your company. Your business Mission Statement should be also be a great place to find inspiration for your business name. Please let us know what name you decided to go with and we’d also love to hear where you got your inspiration for the best business name ever. Couldn’t agree more. No business plan = no success! A sure fire way to not developing the best business name ever or to not grow your business is to not have a business plan. A business plan is like a map when you’re out hiking or out in the woods, it gives you direction and guides you to where you need to go. We can’t stress enough how important an business plan is. But a business plan isn’t just a map for your business, it can also be great inspiration for your business name. Being that your business plan gets to heart and soul of your business, how could this not be inspiration? It’s everything your business is, written down on paper. Look at the words of your business plan and you will see the best business name there! I truly wanted to write down a brief comment to be able to thank you for the unique techniques you are writing on this website. My extensive internet lookup has finally been recognized with beneficial facts and techniques to share with my contacts. I would believe that most of us readers actually are undeniably blessed to be in a perfect place with very many marvellous professionals with valuable techniques. I feel rather grateful to have encountered your weblog and look forward to many more enjoyable moments reading here. Thanks once more for all the details. Thank you for your comment. We really try to come up with the best advice for creating a business name. We know how long it can take and know how difficult it can be and we would like to share our knowledge. Thanks again and please let us know if you have any questions about how to develop the best business plan for your company.